Ticket Alternative’s client The Classic Center’s public art galleries have been added to the list of participating venues of Third Thursday in Athens, Ga. Classic Center is now the 7th location to participate in Third Thursday. 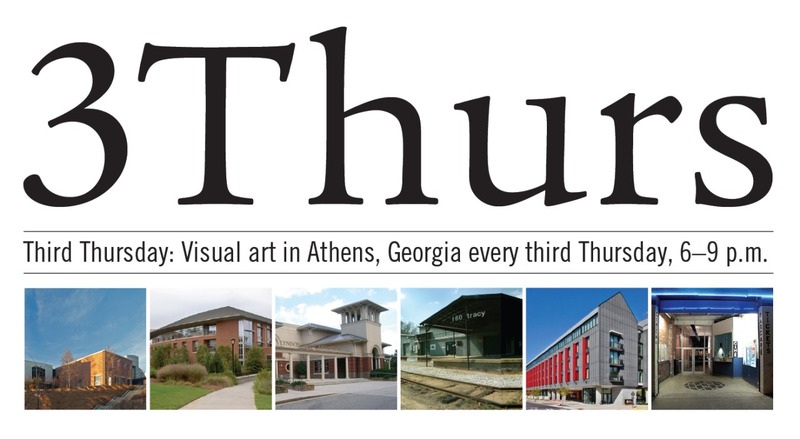 Third Thursday occurs every third Thursday of the month in Athens, GA from 6-9 pm. It was established in the fall of 2012 by the Georgian Museum of Art, the Lamar Dodd School of Art, the Lyndon House Arts Center, Athens Institute for Contemporary Art (ATHICA), Hotel Indigo and Ciné. The event was created to encourage attendance at Athens’ established art venues through cooperation and co-promotion by the organizing entities. Classic Center’s addition to the event will go into affect this Thursday, Oct. 16, which also marks the launch of the Third Thursday shuttle, which is being sponsored by The Classic Center Cultural Foundation. The Foundation-sponsored shuttle will depart the Lyndon House Arts Center at 6 pm and circulate through the other museums and galleries every 30 minutes. This will hopefully help increase the ease of access and mobility for the event, encouraging more people to attend. Free parking is available at the Lyndon House, as well as at the Georgia Museum of Art, the Lamar Dodd School of Art and at ATHICA. Both of The Classic Center’s exhibitions are located in its gallery spaces that are under the direction of The Classic Center Cultural Foundation. One of the missions of the Foundation is to broaden the exposure of people in the Athens community to the arts. Becoming a part of Third Thursday will definitely be a step in the right direction to get more people in Athens excited about and involved in the arts. The Lamar Dodd school of Art will be in between exhibitions on Oct. 16. All exhibits are free and open to the public during Third Thursday.